The bearish rectangle is a continuation pattern that occurs when a price pauses during a strong downtrend and temporarily bounces between two parallel levels before the trend continues. 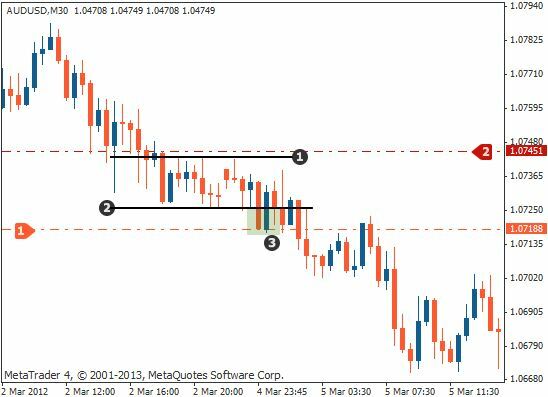 In this lesson, we will show you how to identify the bearish rectangle and use it as a possible selling opportunity. 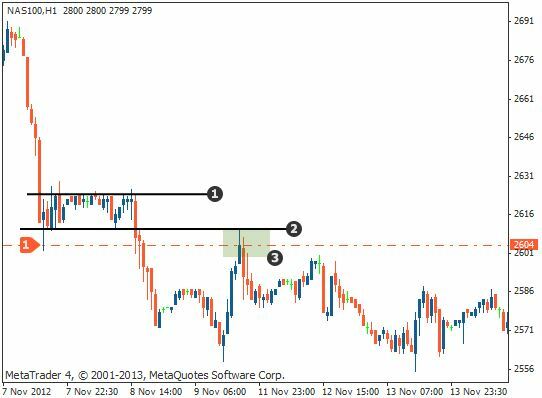 As shown above, the price falls in a strong downtrend and then starts to consolidate between support and resistance levels. It continues to move sideways, bouncing between these two parallel lines and forming a box-like shape that gives the pattern its name. The price then breaks out through the lower support level and continues its downtrend. 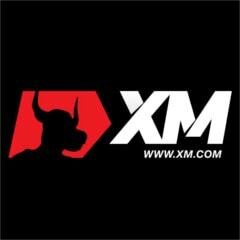 We will now show you two methods of trading the bearish rectangle. As soon as a candlestick has closed below the rectangle's lower parallel line (the support level), enter your trade with a short (sell) order. Place your stop loss just above the rectangle's upper parallel line (the resistance level). Measure the height of the rectangle and then place your profit target the same distance underneath the rectangle's lower parallel line. 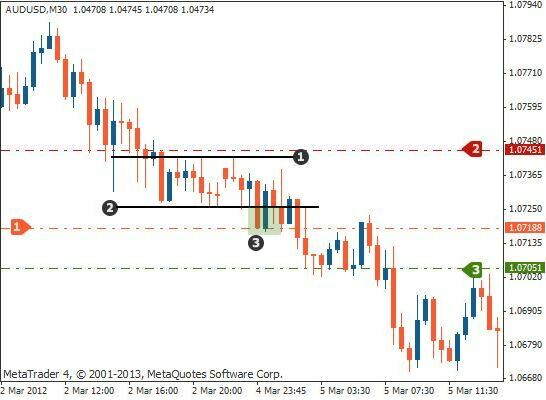 We will now show you how to trade the bearish rectangle using a second method. As with method 1, wait for a candlestick to close below the lower parallel line, breaking the rectangle's support. Then, wait for the price to retest the lower line – this broken support level now turns into a resistance – and place your sell order. As with method 1, measure the height of the rectangle and then place your profit target the same distance below the rectangle's lower parallel line. 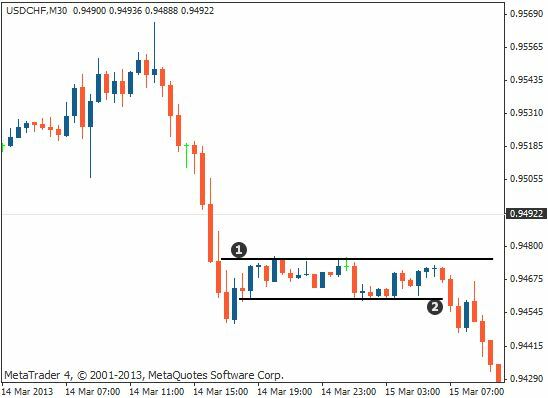 ... bearish rectangles are continuation patterns that occur when a price pauses temporarily during a downtrend – they offer you a selling opportunity. ... you enter your short trade after the rectangle's lower support level has been broken or, in the case of method 2, after it has been broken and then retested. ... you place your stop loss above the rectangle's upper resistance line or, in the case of method 2, above the lower parallel line once it has turned into a resistance. ... you place your profit target the same distance below the rectangle's original support level as the distance between the rectangle's two parallel lines.